In Feng Shui, the Laughing Buddha, also known by Buddhists as Maitreya, is one of the most supreme symbols of joy and well being. 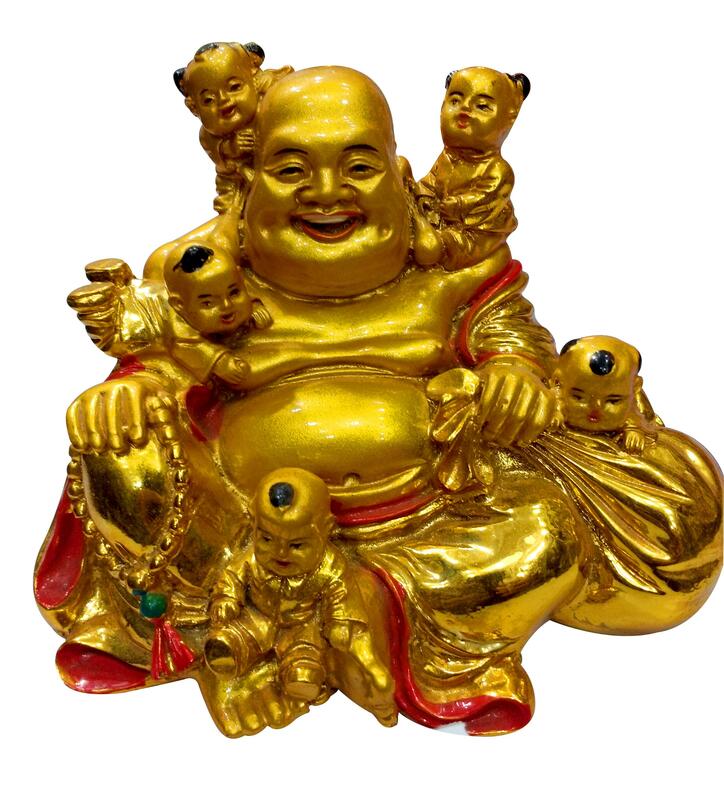 When this jolly character is placed within any home, he will do wonders for all the residents inside; in addition to revitalizing any dead or negative chi and relieving tension, he is believed to also summon fortune and riches for all family members. The Laughing Buddha is now also displayed in the office and prominent places in business venues, such as the front counter, lobby or cashier. He is also a highly revered figure placed at the altar in many temples. Protects family from arguments & tensions. Enhance wealth in aspect of luck and self development. It makes the perfect present for almost all auspicious occasions. For students it allows to attain acedemic aspirations. Made from Polyresin. Size: 10 cm (H) x 8 cm (L) x 8 cm (W).